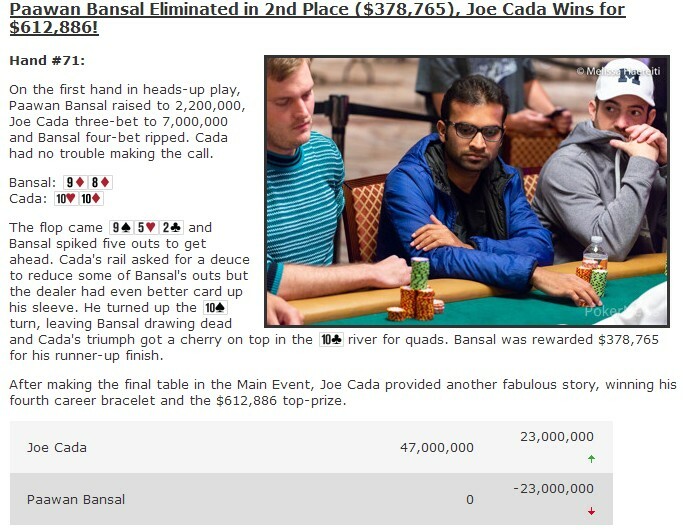 Tags: 2018 WSOP, Joe Cada, Paawan Bansal. Posted on Tuesday, July 17, 2018 by "T". 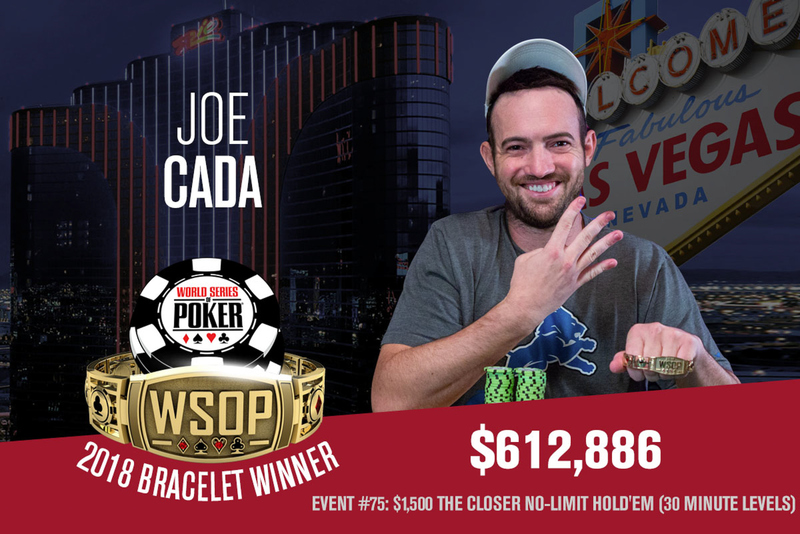 Joe Cada may have finished only at 5th place in the Main Event of this year's WSOP (for $2,150,000), but that's probably okay with him because after a few days, he has gotten his fourth career bracelet when he took down Event #75: The Closer - $1,500 No-Limit Hold'em for $612,886! It is indeed the perfect ending for Cada's summer. Cada, the Main Event champion in the 2009 WSOP, outlasted a field of 3,120 entries to claim the top prize, "I feel amazing. What a way to cap it off! I've been running good and deep in every tournament, and the tournaments I busted, I feel good about how I played. I haven't played many tournaments this summer, and I'm kind of upset that I didn't play more, but it feels good to close it out." When asked if he would join the WSOP Europe this autumn, he said it's unlikely because he's still nowhere close to approaching Shaun Deeb in the POY (Player of the Year) race, "It just goes to show how good some summers end up and how good some of these players are." Deeb also participated in the final day of this event but unfortunately busted out earlier in the game. Event #75 was scheduled for 4 days (3 starting flights and all 331 survivors combined for Day 2 action). Cada started the final day with a healthy stack of 31 big blinds and he rose steadily. Even if the action was intense throughout the day, Cada rarely became at risk and never went all-in. 7 comments for "2018 WSOP: Event #75: The Closer - $1,500 NLHE won by Joe Cada for $612,886, gets 4th Career Bracelet"
Are professional players and skills matter a lot. 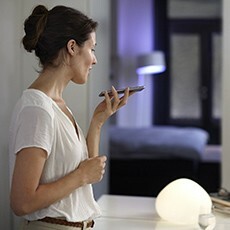 To understand how they do that you will have to learn strategy but something more not a little. Usually professional players do not play like amateurs or fish gamblers. Anyway, it's very hard to achieve these performances but it happens. Congratulations for this player because is a good one with texas holdem. Yeah, He achieve very good performance this year. After few year before didn't hear his good achievement . Of course professional play different, especially compare with online player, lol. A lot just play gambling, maybe in frustrating moment. I would take that finish every day. Not every day. Just once in a lifetime it would have been good also. 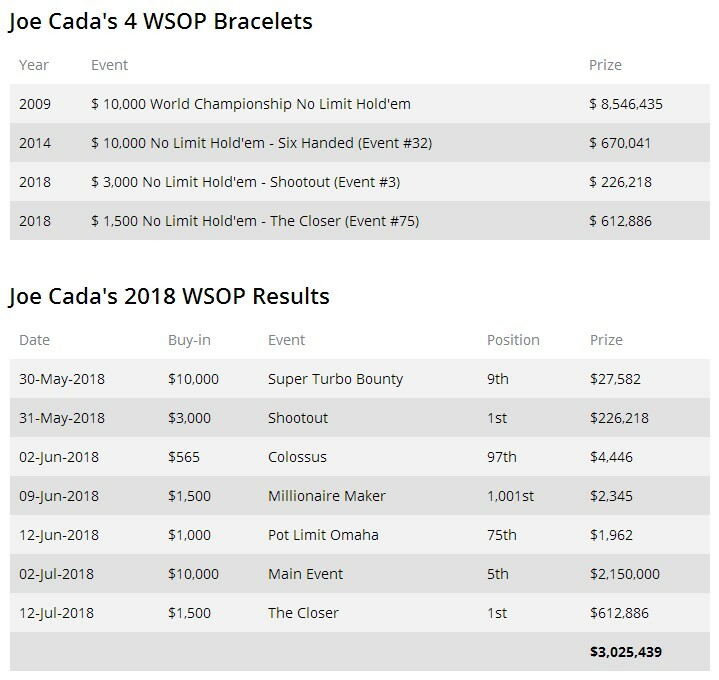 well this was 2nd best year in the wsop for joe cada, surely it is hard to beat the year when you happen to win the wsop main event, but in reality this year was way more matured performance overall from cada with over 3 millions collcted from 7 events.